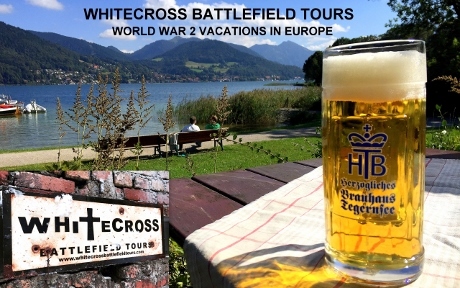 THE ULTIMATE WW2 BATTLEFIELD TOUR EXPERIENCE ! Hi ! – My name is David Martin. I am 52 years old and I was born in England. I live now in Germany. 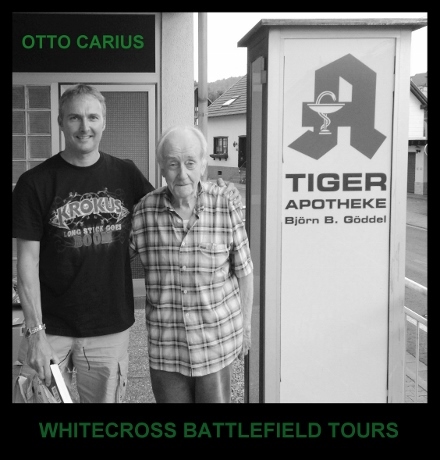 I am a Professional, World War 2 Private Tour Guide and dedicated Battlefield researcher. 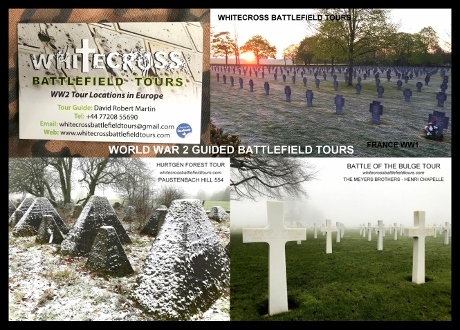 WHITECROSS BATTLEFIELD TOURS specializes in conducting, very moving, detailed, informative and thrilling Battlefield Tours, for the family members of Veterans. However, I regularly conduct tours for the general public. Most of my customers come from the U.S.A, Britain, Canada and Australia. 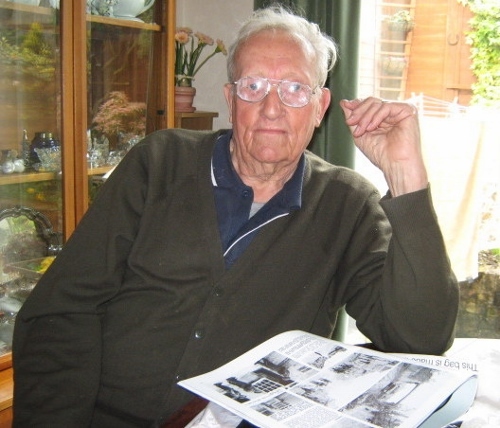 I have been extremely passionate, about World War 2 in Europe, ever since I was a young boy. 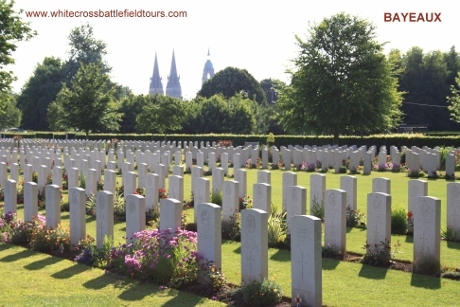 After many years visiting the former Battlefields in central Europe, I decided in 2010, that it was time to start my own tour business and to share my interests and exciting experiences with others. 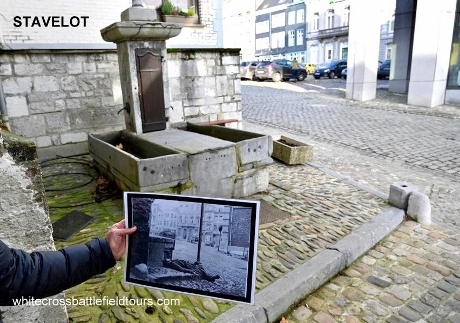 I had been on several Battlefield tours in the past. However, i found these frustrating and often a little boring, as they tend to take customers to the same places & with far too many people in attendance, so that I found myself struggling to hear what was being said. Also, many of my fellow tour guides are French, Belgian, or Dutch and although a few speak quite good English, I speak it much better and more clearly. Many of my competitors will not venture far from their car, during your tour. However, it is vital that I take you further than this, as there is so much to see, if you are willing and able to venture further from the car. I also found that on many occasions, I knew more about the locations history, than that of the tour guide. Often on guided tours, they show you far too little and the tours are too hurried…..
….I like to get away from the tour groups and take you off the beaten track, where very few people venture, to show you some very important places. We will be alone at most locations. 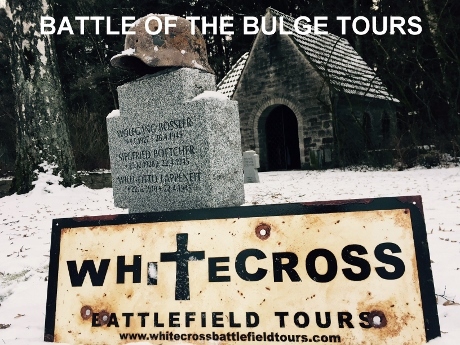 So i created, friendly, unhurried, interesting, bespoke, unique Battlefield Tours, that were much different from the rest. Tours that take my customers to some of the lesser known places, as well as the obvious places. I conduct tours all year round and in all weathers. With coach tours, you will only be taken to locations, where the coach can park – missing extremely important other places on the route, because they work to a ridgid schedule and you will have to frequently stop for toilet breaks. 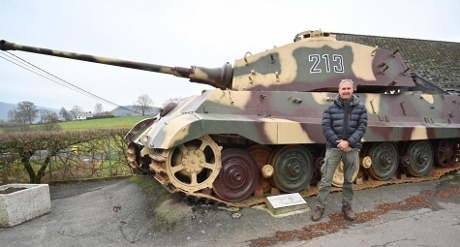 In the Belgian Ardennes and the Hurtgenwald in Germany, for instance, the coaches can only stop generally near monuments, or in museum car parks, as the roads are very narrow, steep and winding and there are few places that a big vehicle can stop, or park. Perhaps you want to see where your father, grandfather, or uncle crossed the, Maas, Ruhr or Rhein rivers? or fought on Omaha or Juno Beach? 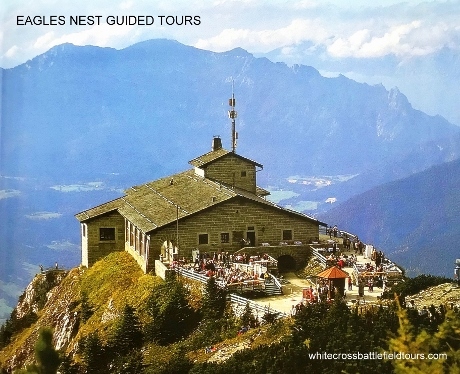 Or maybe, you would like to see Hitler’s Eagle’s Nest? 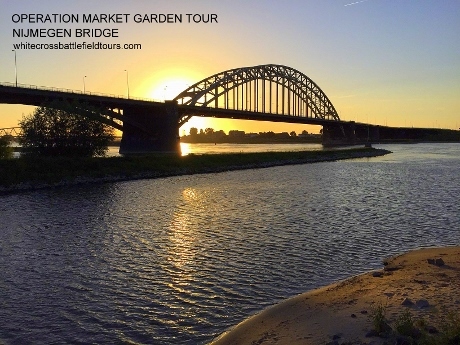 Or visit Nijmegen or Arnhem Bridges? Some of you may like to visit the Concentration Camps of Sachsenhausen, Dachau or Bergen Belsen? Others may want to see Pegasus Bridge or the Dragon’s teeth of the Siegfried Line? If you go on a cheap and tiring coach tour – I guarantee you will not see enough ! My unique and exciting, customised tours, cater ideally for individuals, couples and for small groups of up to 8 people. For groups of more than 8 people, please contact me to discuss. 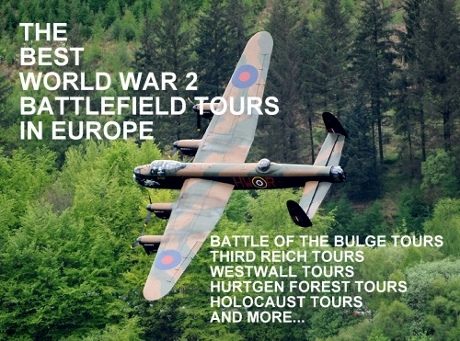 Small bespoke tours are much more personal and interesting and a good way to make friends or to share our mutual interest in WW2. 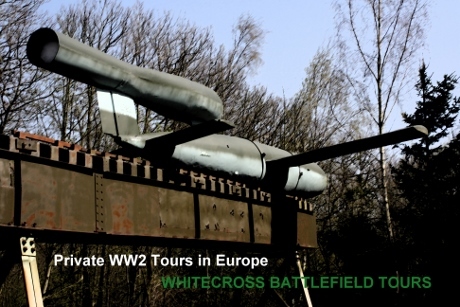 If you choose a tour with WhiteCross Battlefield Tours, I guarantee you will return home with a lot of fantastic memories, some shrapnel from the forest in your pockets (or a fired bullet) and a big smile on your face. 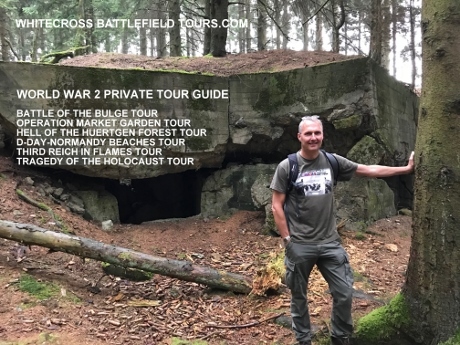 -if you prefer, you are welcome to suggest for how long, where, when and what you would like to see & then I will compile a full and exciting, action packed, bespoke WW2 Battlefield tour, to suit your requirements. A tour that you will never forget. – around towns, lakes and mountains and staying in beautiful guesthouses along the route. 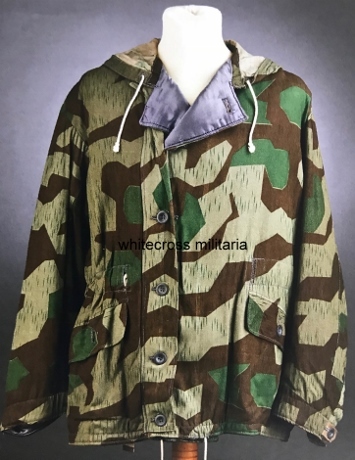 Militaria – I also am a stockist and worldwide supplier, of premium quality, reproduction American & German Militaria, uniforms, field gear, visor caps, helmets, boots, medals etc, for re-enactors, personal use & the film industry. 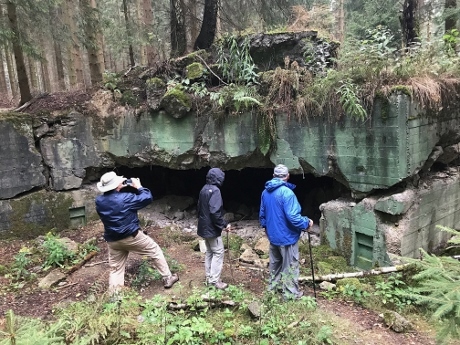 …Imagine walking through the beautiful, tranquil, Ardennes pine forests in Belgium, with just the sound of birds singing and stopping for a cup of coffee, or for lunch and discussing what happened here , as we sit around the edge of a foxhole ! 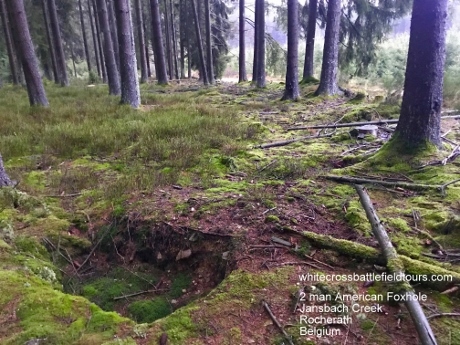 A foxhole that has lain undisturbed for over 74 years. A foxhole dug in haste and fear, in solid icy ground, during that freezing cold winter of 1944, by a young, frightened, hungry, shivering American G.I , as he prepared for a formidable German attack in the dead of night. We can stroll through a peaceful pine forest, in beautiful Bavaria, Southern Germany, surrounded by panoramic, stunning mountain and meadow views and replicating Hitler’s daily walk to have his lunch, with his infamous Nazi henchmen, secretaries and faithful German Shepherd “Blondi” at his side. Following in Hitler’s exact footsteps as we stop for lunch in the same location and admire the view, imagining what happened here all those years ago, as they chillingly discussed the invasion of Europe and the extermination of the Jews. A relatively unknown location ! GESTAPO – How about a trip to a former Gestapo headquarters ? complete with original cell block, execution yard, original furniture, typewriter and photographs and testimonies, of victims who were detained here. Imagine how terrified these people were ! being brutally tortured on a daily basis. – as they waited to be herded onto overcrowded cattle wagons, by SS soldiers brandishing leather whips and holding snarling vicious dogs, prior to being transported in freezing, squalid conditions, for days on end, to the death camps in the East, such as Auschwitz, Belzec, Chelmno, Treblinka or Sobibor. 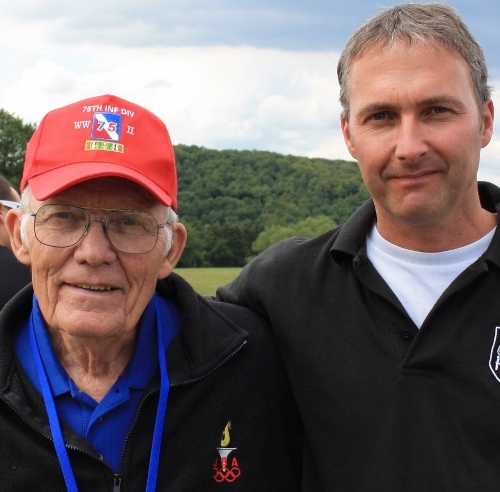 VETERAN’S – I have been very lucky and met many WW2 veterans. 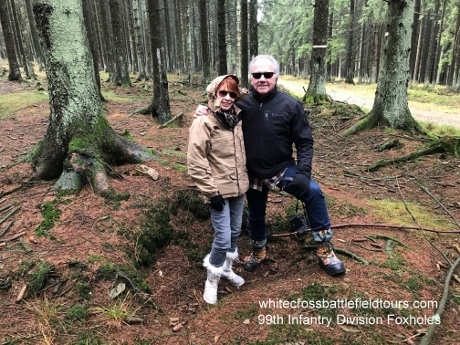 I have recorded some of their accounts and would be happy to share some of their fascinating true stories with you, as we follow their footsteps across the former battlefields of Europe. 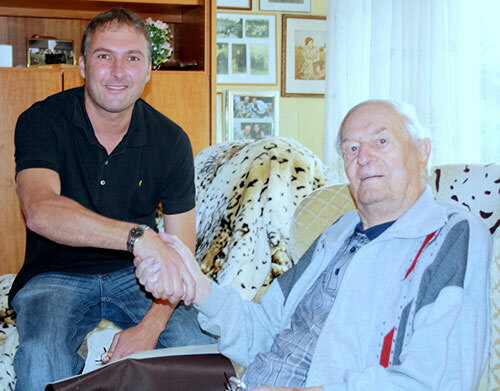 I have met many veterans from the British Army, American Army, Wehrmacht, Luftwaffe and even 2 from the notorious S.S, including Hitler’s bodyguard & chauffer and a famous, highly decorated Panzer Commander, who served on the Eastern front. 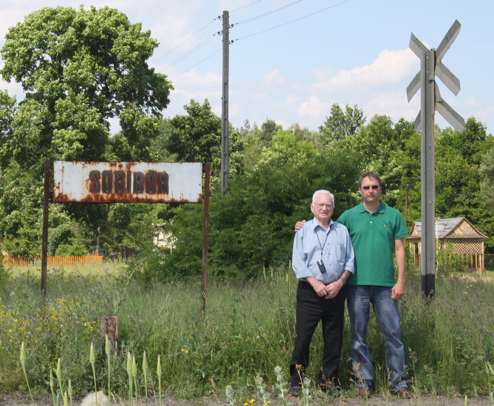 SOBIBOR – I have also met and interviewed in Poland –Sobibor Death Camp survivor, escapee & author -Thomas “Toivi” Blatt. TEAMWORK – My team of international friends and I are Battlefield researchers and we are always looking for new stories. 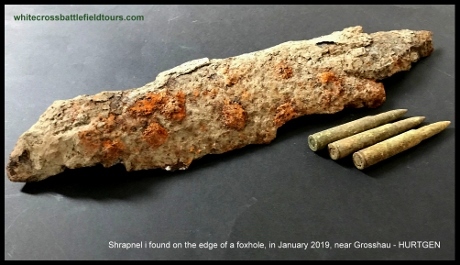 I can show you many photographs and artefacts that we have found in the Ardennes forests of Belgium & the Hurtgenwald. Our goal has always been to research specific areas, where soldiers have been killed, and eventually to have memorials erected on the site of their deaths & then to make contact with the veteran’s surviving family, who have no idea where their loved ones were killed in action. We have already achieved this and it is a very rewarding experience.